'The purpose of these books on the Bible is to give to the laity, men as well as women, an opportunity to introduce into their daily lives a systematic study of Holy Scripture.' So says the Preface. 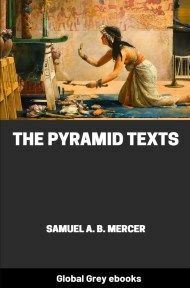 This book is part of the Biblical and Oriental Series by Mercer, which also includes The Growth Of Religious And Moral Ideas In Egypt and Religious And Moral Ideas In Babylonia And Assyria. Contents of the book include: The Beginnings of the Race; Abraham; Isaac; Joseph; and, Jacob. It also includes reviews studies.